Imagine having thick, long, healthy-looking hair that until now has been almost unattainable. The stylists at Giabonni's Hair Design are certified by the premier company SoCap USA. 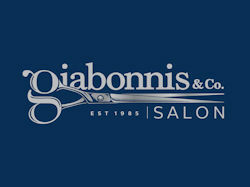 Giabonni's Riverside Salon & Spa was the first hair salon in Groton and Mystic Connecticut to introduce a new hair extension process that will transform hair into a full-bodied, long, richly textured, and stunning look that was formerly available only to celebrities and fashion models.